Learn how detectives use fingerprints to identify suspects and record important clues found at the scene of crime! 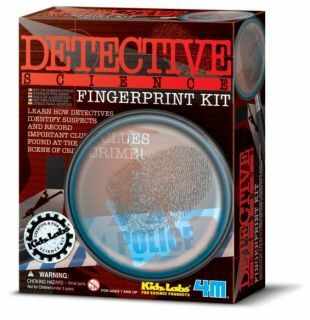 Contents: Contains fingerprints filing and collection cards, ink pad, dusting powder and brush, magnifying lens etc. All stored in a handy plastic case. Instruction and fun facts included.